I recently met with one of my students for a private yoga session to address her continued experience of chronic pain. For this student, a combination of age-related changes to her spine and musculoskeletal system, as well as ongoing side effects from past chemotherapy, have conspired to result in chronic low back, hip, and leg pain. Her experience of chronic pain is complex and fluctuating, and for the past few weeks has been worse than normal. Fortunately for her, she has already established a combination of practices (some of which are listed later) that have served her well in the recent past and, with some appropriate modifications and additions, will likely help her with this and future periods of fluctuating pain. “Pain itself is defined as an unpleasant sensory and emotional experience. It is also the way the brain interprets this information that contributes to the experience as well. Acute pain is of short duration as a result of injury, surgery, or illness. Chronic pain is an ongoing condition persisting longer than six months. Kelly McGonigal, Ph.D., author of Yoga for Pain Relief, defines acute pain as a response to some kind of injury or illness. It begins with a real threat to the body and leads to a reasonable protective response. The body can become more sensitive to the threat of possible pain symptoms leading to feelings of fear and anxiety. The brain can become more likely to interpret situations as threatening, and sensations as painful (eliciting a pain response). Breathing changes. The breath is more shallow and shaky. How we move changes dramatically as we try to protect the area of pain. Sometimes people will stop all movement that they deem extraneous while others will grit and bear it only stopping when the pain is so intense that they can’t continue. Body image (how we view ourselves) changes. Thinking patterns change: we are less optimistic and our emotions may be more changeable. Despite the seemingly unchanging nature of chronic pain for those who suffer with it, yoga is actually quite beneficial in both decreasing the pain and in changing our relationship and response to pain. Mild to moderate exercise actually decreases physical pain. Yoga qualifies! The increased flow of oxygen to the brain and muscle tissues in yoga improves your energy levels and sense of well-being. Combining breath awareness with the physical movements of a yoga practice helps release muscle tension held in your body. For people with certain conditions, such as arthritis, moving your joints through their range of motion and stretching your muscles can decrease the intensity of your pain or relieve your pain completely. Practicing yoga on a regular basis may affect your response to pain, decreasing your level of perceived suffering. Although chronic pain can worsen our ability to handle other stresses in our lives, regular yoga practice can improve stress management and can have a feedback effect on improving chronic pain. Breath Work- You can practice any breath practice you find helpful, from simple breath awareness, to more complex pranayama, such as, alternate nostril breathing. Yoga Asana- When using asana, always start out with a gentle practice. Start with simple movements to improve breathing, such as Cat-Cow Pose, seated or standing side-bends, and arm range-of-motion actions. Then, add in more active asana, such as Mountain Pose (Tadasana) to Arms Overhead Pose (Urdva Hastasana), either dynamic or static, Warrior 1 and Warrior 2 (Virabhadrasana 1 & 2) done similarly, Locust Pose (Salabasana), Downward-Facing Dog Pose (Adho Mukha Svanasana) and many more. You can also practice restorative postures such as Legs up the Wall Pose (Viparita Karani), and Supported Child’s Pose (Balasana), to name just a few. Focused Relaxation- Many forms of focused relaxation poses are helpful, from simple Savasana (Relaxation Pose) to restorative poses and supported Savasana). Conscious relaxation techniques include simple breath awareness, body scans and many other forms of guided relaxation, including the rotation of consciousness portion of Yoga Nidra. Meditation Practices- You can practice any form of meditation, including simple breath awareness techniques to practices that cultivate feelings of kindness towards your self. Kelly McGonigal has a nice section on this in her book, for those that want more types of meditation to practice. Yoga for Pain Relief by Kelly McGonigal, Ph.D.
More on pain management from Ram Rao, Ph.D. and YogaUOnline - Yoga for Chronic Inflammation. Study brain health and aging with YogaUOnline and Dr. Baxter Bell - Yoga for Healthy Brain Aging: A Closer Look at the Positive Possibilities. 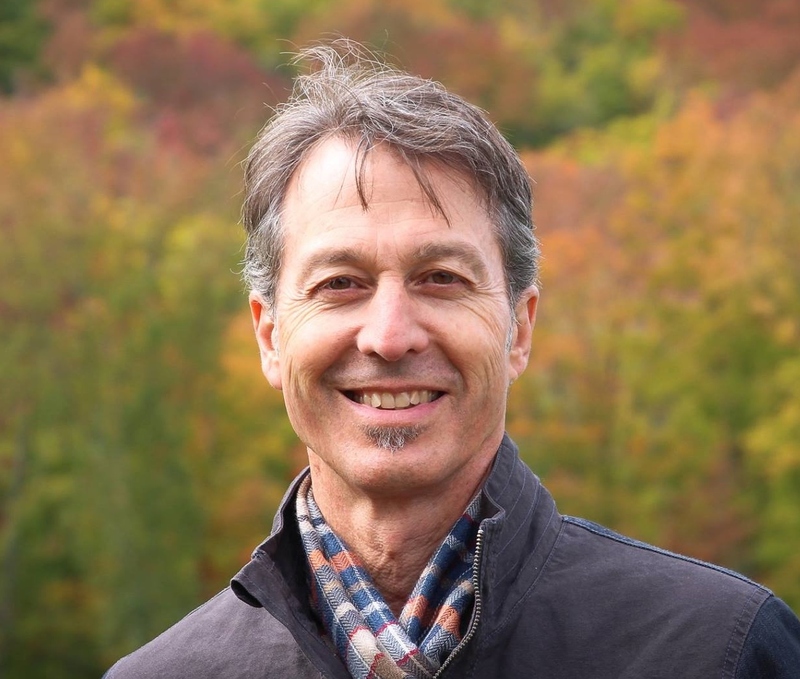 Baxter Bell, MD, is a yoga teacher and educator, physician and medical acupuncturist. These days he focuses on teaching yoga full time, both to ordinary students of all ages and physical conditions, and to the next generation of yoga teachers, to whom he teaches anatomy and yoga therapy along with his accessible, skillful style of yoga. Baxter brings a unique perspective to his teaching, combining his understanding of anatomy and medicine with his skill at instructing people from all walks of life and all levels of ability. Baxter is the co-founder and writer for the popular Yoga for Healthy Aging blog, where he shares his knowledge of medical conditions, anatomy, and yoga with practitioners and teachers across the world. In addition to being a frequent presenter at Yoga Journal Alive events and yoga conferences such as IAYT’s SYTAR, he is often quoted as an expert on yoga and health by major national news outlets such as The Washington Post and Wall Street Journal. To learn more, visit www.baxterbell.com, www.yogaforhealthyaging.blogspot.com, and his YouTube channel Baxter Bell Yoga.